Electric locks offer an economical and reliable way to secure your gate. Fail-safe and fail-secure, and even solar friendly options are available. Electric locks are suitable for most gates, and most of the gate operator models on the market will control one, but still be sure to double-check that your model will. 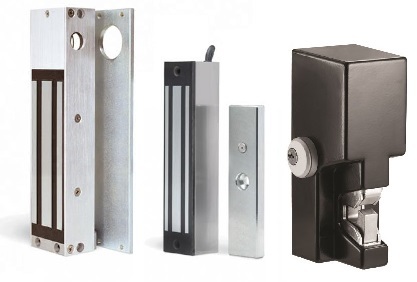 The DKS series of Gate (DKGL) Locks offers a wide range of high-quality electro-magnetic Locks and B.. This Securitron electromechanical gate lock offers ONE TON of holding force, and can be used with el..